BMW has added some great models in its new line up, carrying the same trend for its 4 Series; BMW introduced the M4 Convertible after releasing the m4 coupe version. Though model holds many similarities with the coupe version, still company has added some features that make it different and more adorable. 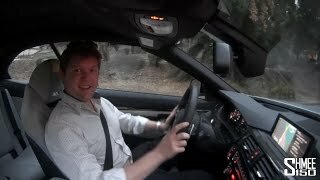 Let us have a closer look to unveil these new changes and factors that inline you more towards the BMW M4 Convertible 2015.
and fresh feel of breeze with clear glimpse of surrounding. Exterior of BMW M4 Convertible 2015 is both aggressive and aerodynamic. While the sculpted front end fulfils the latter, styling done at the lower end adds some aggression to the models front fascia. Air intakes located in lower portion serve the purpose of sending fresh air to engine and brakes. BMW M4 Convertible also steals attention through its kidney grille amidst LED Headlights which come with an option. 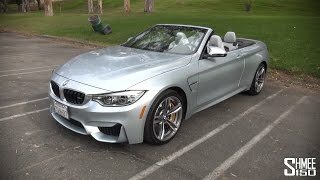 Belt lines around and over BMW M4 Convertible adds a bit to the aggression while talking about the rear fascia of M4 Convertible, the haunch very well compliments with wide rear track and in whole make the entire rear view a worth appreciation work. 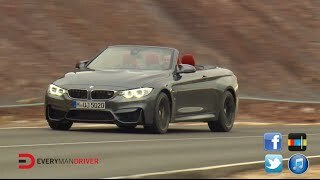 BMW M4 Convertible 2015 gets its power through a 3.0 Liter six-cylinder turbocharged engine which delivers total output of 425 hp and peak torque of 550 nm. Engine is pairs to six-speed manual transmission as standard; however option to go for seven speed double-clutch comes as an option. With its power figures, BMW M4 Convertible is capable of finishing the 0-60 mph sprint in just 4.2 Seconds (DCT transmission) and top speed stands at 155 mph.